UPDATE 6/13: Thank you to everyone who came out to support the ISU Football Team! Team Campbell – IowaStater took home bragging rights for 2nd place in the Peoples’ Choice for our Sous Vide IPA BBQ Infused Pork Loin. 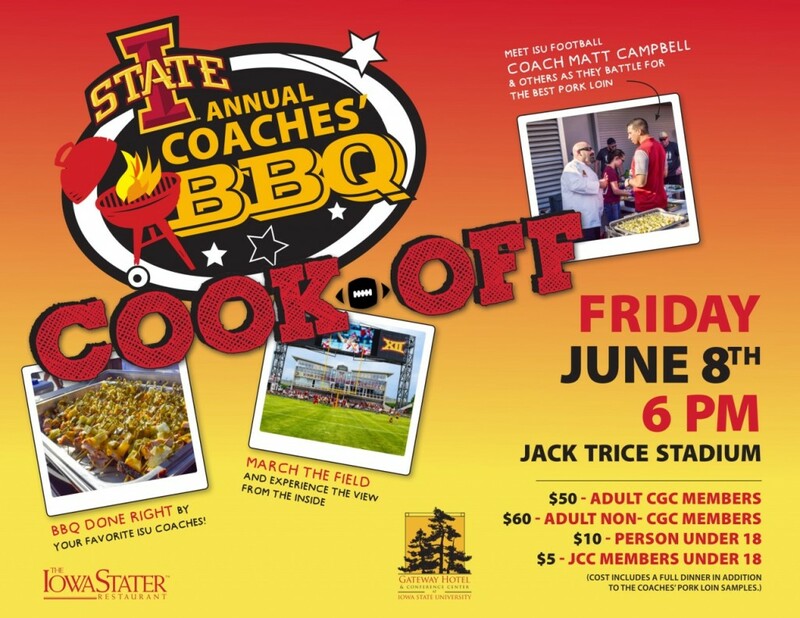 Join Team IowaStater and Coach Matt Campbell in a pork loin cookoff against other ISU Football coaches!